Last week, I introduced you to a new tutorial for a database-driven Slackbot. Today, I am going to discuss details of how the IBM Watson Conversation service is accessing a Db2 Warehouse service from within a dialog. 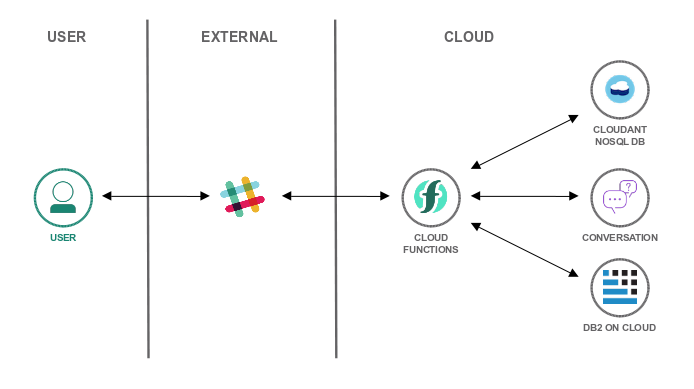 It uses a serverless setup with IBM Cloud Functions. All the necessary credentials to execute the code and to access the Db2 database are automatically bound. Hence, the function code and the dialog don't need any account-specific changes and are generic. 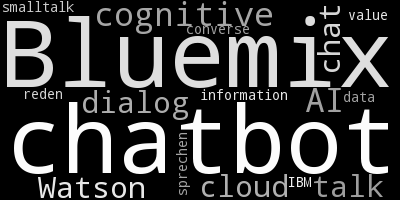 A tutorial I wrote, featuring a database-backed Slack chatbot, is now live. It uses Db2 as database system to store event data. 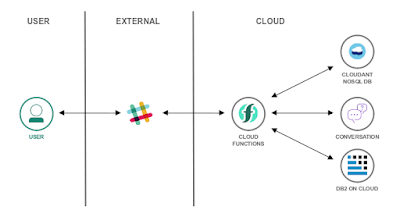 The client accessing the database is written in Node.js and is implement with IBM Cloud Functions in a serverless way. During the development of that tutorial I faced the question on how to perform the database setup. Should I guide users through the user interface to create a table and insert data? Should they install a Db2 client and execute a script locally? I solved the problem in a serverless fashion. Here are the details.